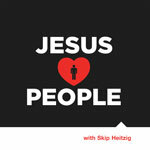 Jesus loves people all people: prostitutes, drug addicts, abusers and you. This profound truth is at the very heart of the gospel. Jesus loves the unlovable and touches the untouchable, and during His time on earth, He was compassionate and merciful toward people from all walks of life. What would it be like if you personally encountered Him? Join Pastor Skip Heitzig in this series to learn more about God's radical love for you and fall more in love with the living Savior.